Three Decembers is a 90-minute opera in one act by composer Jake Heggie and librettist Gene Scheer, based on Terrence McNally’s original script Some Christmas Letters. The opera is composed for three singers (soprano, mezzo-soprano and baritone) with 11 instrumentalists: oboe/English Horn, clarinet/bass clarinet, sax/flute, 2 pianos, percussion, 3 violins, 1 cello, 1 bass. Three Decembers was commissioned by the Houston Grand Opera and co-commissioned by the San Francisco Opera in association with Cal Performances at UC Berkeley. 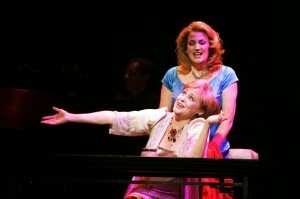 The first performance was Feb 29, 2008 in the Cullen Theater at the Wortham Center in Houston. 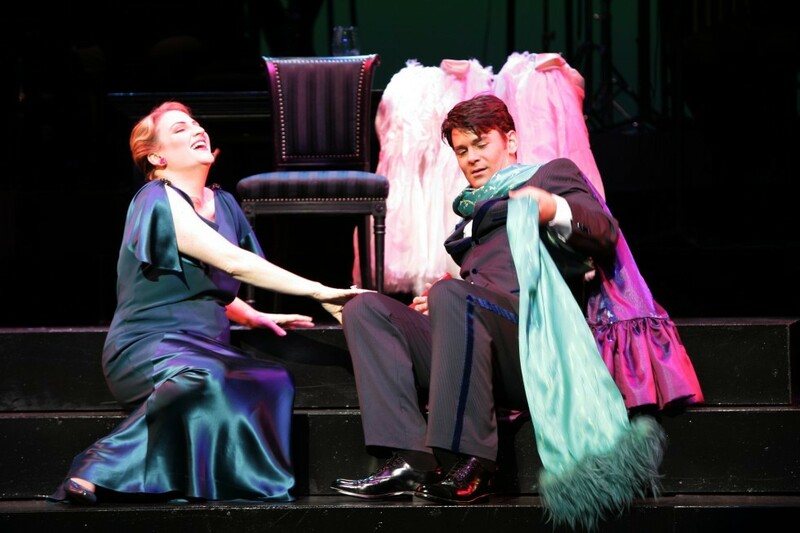 The opera tells the story of a famous stage actress – Madeline Mitchell (mezzo-soprano) – and her two adult children: Beatrice (soprano) and Charlie (baritone). The drama takes place over three decades of the AIDS crisis (1986, 1996 and 2006), each section recalling the events of a December as the characters struggle to connect when family secrets are revealed. 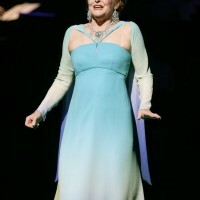 The opera was recorded live at the 2008 premiere, and then revised. The final work has not yet been recorded. 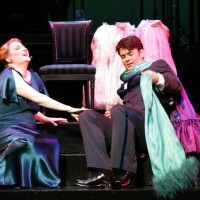 Several arias and a duet from the opera are available in the “here/after” song collections at billholabmusic.com. 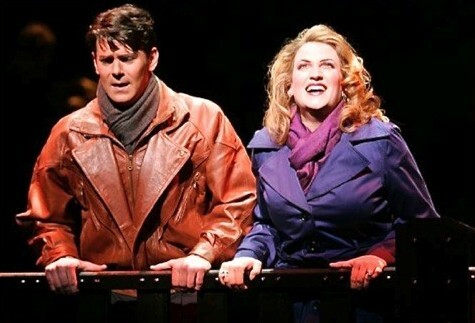 SAN DIEGO Three Decembers at the San Diego Opera as part of its Detour series, starring Frederica von Stade (Madeline Mitchell), Kristin Clayton (Bea) and Steven LaBrie (Charlie); conducted by Adam Turner and directed by Karen Tiller. Patrick Henry Performing Arts Center. BINGHAMTON Three Decembers at Tri-Cities Opera in Binghamton, New York. Featuring Tesia Kwarteng (Madeline), Lianne Aharony (Bea), and Aaron Stepanek (Charlie); conducted by Braden Toan and directed by James Kenon Mitchell. MOOREHEAD Three Decembers at Fargo Moorehead Chamber Opera, featuring Lucy Thrasher (Madeline Mitchell), Anne Jennifer Nash (Beatrice) and Robert Wesley Mason (Charlie); conducted by Cody Martin and directed by Austin Regan. Performances at Weld Hall, Minnesota State University, Moorehead. BOSTON Three Decembers at Boston Playwrights’ Theatre, produced and directed by Sharon Daniels, featuring Leslie Jacobson Kaye (Madeline), Erin Merceruio (Bea), Mitch FitzDaniel (Charlie). Led by pianist Regan Siglin with sets by Julia Noulin-Merat, costumes by Neil Fortin, lighting by Ginevra Lombardo, and wigs by Rachel Padula. ST. LOUIS Three Decembers at St Louis Opera Collective in the Kranzberg Arts Center. Cast and production info TBA. PORTLAND ET AL. Three Decembers performed by Opera Maine. Raehann Bryce-Davis (Madeline), and Studio Artists Symone Harcum (Bea) and Yazid Gray (Charlie); directed by Richard Gammon, conducted by Timothy Steele. July 11 at St Lawrence Arts, Portland; July 13 at Deertrees Theatre, Harrison; July 15, The Temple, Ocean Park; July 16, Camden Opera House. OKLAHOMA CITY Three Decembers at Painted Sky Opera in Oklahoma City. Featuring Catherine McDaniel (Madeline), Allison Nicholas (Beatrice), Andre Chiang (Charlie); conducted by Jan McDaniel and directed by Rob Glaubitz. MEMPHIS Three Decembers at Opera Memphis in a new production by Ned Canty, conducted by Michael Sakir, with Phyllis Pancella (Madeline) and Jarrett Ott (Charlie) and Cree Carrico (Beatrice). HAWAIIAN ISLANDS The original cast of Three Decembers is reunited by Hawaii Opera Theater for performances on four islands: Oahu, Hawaii, Kauai and Maui. 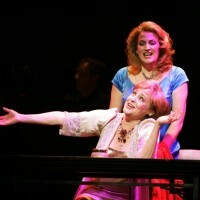 Starring Frederica von Stade (Madeline), Kristin Clayton (Bea), and Keith Phares (Charlie), conducted by Adam Turner. BIRMINGHAM Three Decembers at Opera Birmingham in the Red Mountain Theatre Cabaret. FAYETTEVILLE Three Decembers at Opera Fayetteville, University of Arkansas. Cast includes Cabiria Jacobsen (Madeline), Erin Brittain (Beatrice) and Jacob Scharfman (Charlie). Directed by Jennifer Williams, conducted by Christopher Frisco. MILWAUKEE Three Decembers at Florentine Opera in Milwaukee, starring Lucy Schaufer (Madeline Mitchell), Rena Harms (Bea), and Keith Phares (Charlie); conducted by Joseph Rescigno, directed by William Florescu. AUSTIN Three Decembers and At The Statue of Venus at the Butler School of Music UT Austin in the McCullough Theatre. Conductor Kelly Kuo leads the New Music Ensemble in new productions by Robert DeSimone (Three Decembers) and Jessica Burton (At The Statue of Venus). LOUISVILLE Three Decembers at Kentucky Opera in Louisville, starring Denyce Graves (Madeline Mitchell), Nicole Joseph (Bea) and Carlton Ford (Charlie); conducted by Kostis Protopapas, directed by William Florescu. INDIANOLA Three Decembers at Des Moines Metro Opera, Des Moines, IA. Cast TBA; directed by Kristine McIntyre. ARLINGTON Three Decembers at Urban Arias, Arlington VA, with Janice Hall (Madeline Mitchell), Emily Pulley (Beatrice) and Michael Mayes (Charlie); conducted by Robert Wood, directed by Michael McConnell. ZURICH European premiere of Three Decembers at Opera in Knopfloch, Zurich, Switzerland; Rosina Zoppi (Maddy), Jeannine Hirzel (Bea), Niklaus Kost (Charlie); conducted by Charl de Villiers; directed by Matthias Fluckiger. TALLAHASSEE Three Decembers at Florida State Opera. NASHVILLE BMI Composer-In-Residence at Vanderbilt University during the opera department’s production of Three Decembers (Nov 9 & 11); Amy Jarman is Madeline Mitchell; Gayle Shay directs and Robin Fountain conducts; at the Blair School of Music, Ingram Hall, Nashville, TN. 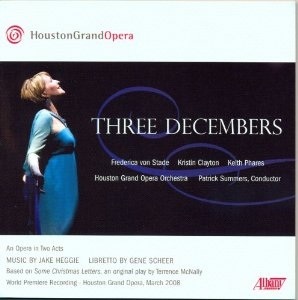 THREE DECEMBERS, an opera in two acts by Jake Heggie & Gene Scheer, based on an original play by Terrence McNally. Live recording from Houston Grand Opera (2008). 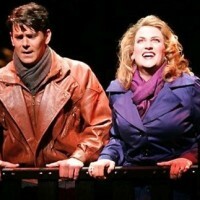 Frederica von Stade (Madeline), Kristin Clayton (Bea), Keith Phares (Charlie). Patrick Summers conducts members of the Houston Grand Opera Orchestra. 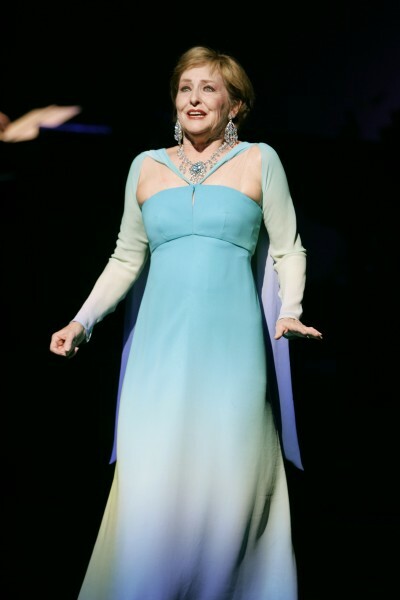 The great Frederica von Stade sings “the role of a lifetime” (Houston Chronicle) as Broadway star Madeline Mitchell in the latest lyric drama by Heggie & Scheer, based on a play by Terrence McNally. Madeline’s children are sung by soprano Kristin Clayton (Bea) and baritone Keith Phares (Charlie). In the story, a famous actress has become estranged from her children. Madeline has been keeping a powerful secret from them, and over three decades hidden truths are revealed as they struggle to find their identities as part of a family and in their lives. Available on Amazon, Amazon Music Unlimited, Spotify, Apple Music and iTunes. America’s No. 1 opera composer. said, alas, for many contemporary composers. backbone and never allows it to sink into sentimentalism. because they have musical souls. pieces, there were several hauntingly lovely motifs that caught the ear. Mme. deliver comedic punch lines with well-paced set-up and accurate pay-offs. include raising and lowering actors and set pieces on the hydraulic pit apron. Bill Holab Music is agent for the sales and rentals of the score to Three Decembers. One or more recordings have been made. (Here is a Search for them.) Sheet Music, Scores, Parts and Performance Materials are available from billholabmusic.com. Rental Sheet Music, Scores, Parts and Performance Materials are available from billholabmusic.com.